Blog | February 2018 | Is My House a Good Candidate for Solar? Knowing how much you pay for energy is the first step in evaluating whether your house is a good candidate for solar. The main question is, will it save you money? In some areas, electricity is very inexpensive. For most homeowners, the electricity bill is a dreaded monthly expense. The general rule is that solar makes the most financial sense for someone with a monthly electricity bill of at least $75. Why? Because going solar replaces utility energy with solar energy, and we want our customers to see a return on that investment by paying less for that energy. A utility bill of $75 is the threshold at which residential solar customers will see solar savings. 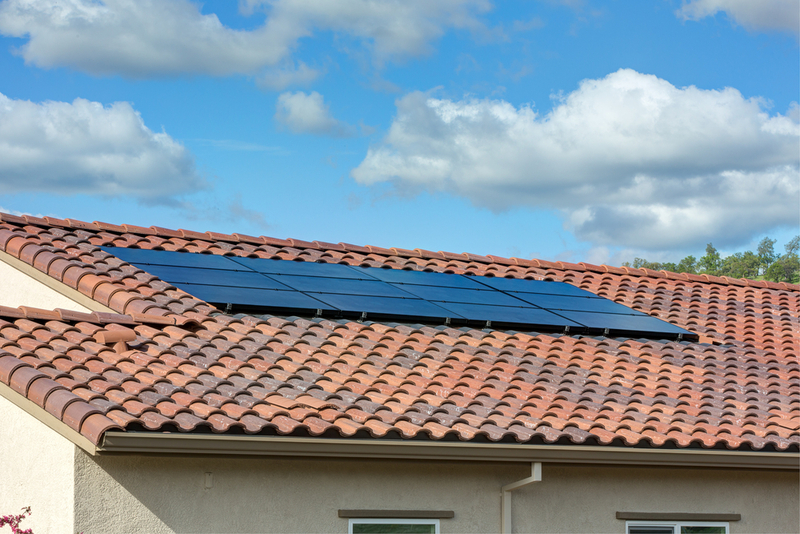 There are several ways to go solar, depending on a customer’s needs and goals. SunPower offers zero-down lease, loan and cash purchase options — each with different benefits. (See How to Buy Solar Panels for Your Home for more.) Ask your local solar expert about local and federal incentives and electricity policies where you live. To see if your house is a good candidate for solar, try out a solar panel suitability checker such as Google’s Project Sunroof. Then set up an appointment for a solar consultation with an expert who will visit your home to inspect its orientation (solar panels facing south capture more energy), roof angle and tree shading to see if your roof will receive enough sunlight to meet your family’s energy needs. SunPower’s solar consultations are free, and you can learn a lot about your home and best energy options. The more direct sunlight your home receives, the more power the panels will produce. While SunPower solar panels are known for being extremely efficient at generating power in low-light situations, excessive shading will reduce the amount of power that can be generated. Solar energy can be generated in all sorts of extreme climates, from rainy areas such as Seattle, to extremely hot locations such as Los Angeles, California. Solar suitability checker tools can help you understand how this could affect solar on your house. High-efficiency solar panels convert direct and indirect sunlight into electricity, so they work even on cloudy days. A solar consultant will estimate the amount of energy your system will produce so that you can see the potential savings before you decide to go solar. Think your house is a good candidate for solar? Find out how much you might save by entering your address into our solar savings calculator. Sign up for a free home solar estimate and evaluation or call us at 1-800-786-7693.